This tea is a version of Oriental Beauty from Hatvala, a great supplier of original and local teas from different parts of Vietnam (and they run a cafe in HCMC / Saigon). I reviewed a great version of a jasmine black tea from them not so long ago, with more of their selection related to local tea styles than these two examples indicate. 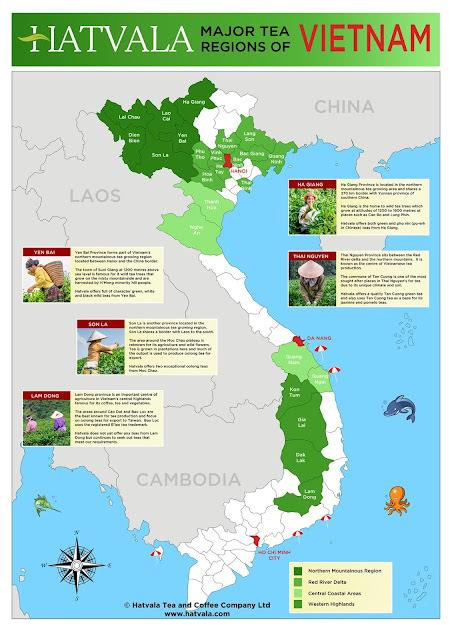 For whatever reasons the tea industry in Vietnam seems a bit more diverse than in Thailand, and in addition to covering more range of types the teas are better. It usually doesn't work to make blanket statements like that, on the subject of tea or any other scope, but Thai teas somehow seem limited to being generally decent or else not quite that good. Vietnamese teas don't tend to be as good as the best Chinese or Taiwanese versions, per what I've tried of both, but definitely a step closer, and sometimes on the unique side for being prepared in different styles. One strange twist related to that: it would be possible to try lots of Vietnamese teas, even when visiting there, and get the impression that they almost always drink one style of green tea. Fish hook tea, that's sometimes called, from this area, and they also make Taiwanese style light oolongs. I visited Hanoi a few years back and found others (that black tea in that review was great), it just takes some looking around. This tea is from Son La, an area shown of the following map reference. I won't say much about what Oriental Beauty is here (also referred to as Dong Fang Mei Ren or Bai Hao), or even link to posts where I do, given how well-known a type it is. The short version: it's a more oxidized oolong style that tends to taste like fruit and spice, maybe along the lines of citrus, muscatel, or cinnamon. This review describes this tea in relation to typical aspects, although of course they vary. There's another part about the tea leaves being bitten by bugs, and that improving the flavor, covered elsewhere in this blog or in lots of other places. The subject of tea knock-offs came up recently in a news article about teas from Vietnam being sold as an award-winning local version in Taiwan. Apparently they have different types and levels of awards there, so it doesn't mean that Vietnamese teas are now equivalent to those from Taiwan, but there must be some degree of equivalence to collect any local award. It's interesting that they can test for tea origin now; the article doesn't go into how. 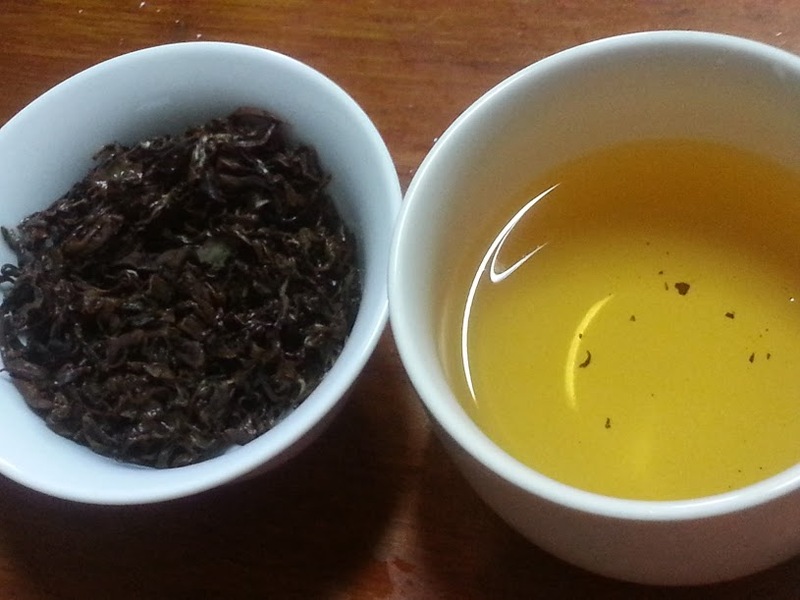 I recently tried an oolong from Yunnan that could pass for a high mountain Taiwanese oolong too; it had that brightness, intensity, cleanness, underlying mineral structure, and distinctive flavor profile--the whole set. This tea is definitely copying the style of a tea type from Taiwan but it's not a counterfeit tea in the same sense as in that article since it is sold as being from Vietnam. 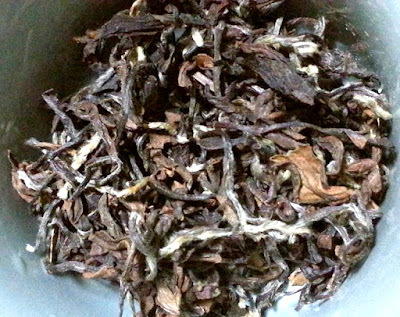 I've only tried versions of OB from Thailand and Yunnan (interesting, but not as close a match), but I've seen others mentioned from India and Japan, and styles crossing over, a tea version of fusion, is more accepted now. I tried a Japanese-style green tea version of Vietnamese tea on a visit to the HCMC area before I started this blog, maybe five or six years ago, and that was ok. It's hard to really place on a quality scale based on memory that far back, and my experience with Japanese teas is still too limited now to be a great judge of those, all the less so back then. It only occurred to me later that some or most of that tea might be making it's way back to Japan as Japan-originated tea. The leaves look like an Oriental Beauty, maybe a little less colorful than some do, but with the same general twisted and multi-colored look. 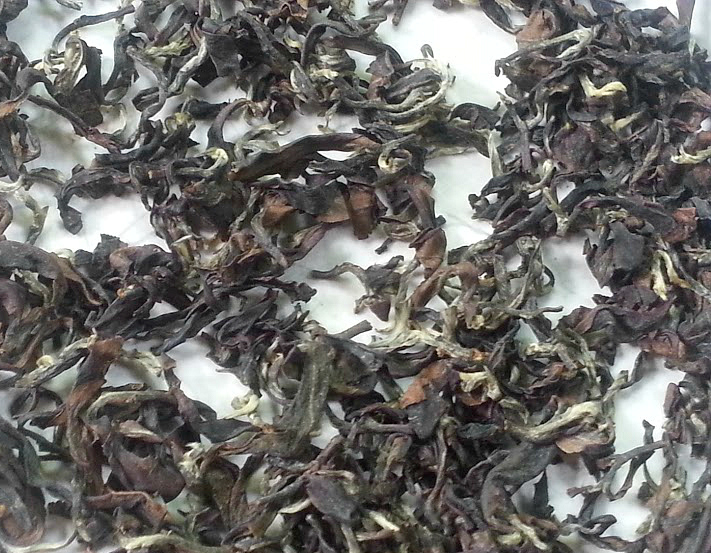 The dry tea scent has a strong ripe peach aspect. I don't mean an ordinary peach smell, the way a typical peach comes across, instead the rich, warm, complex flavor of a perfectly ripe, juicy, dark-fleshed peach. It's almost separate from tasting like peaches often do, a different thing, a higher level of the experience. Kind of a tangent but my Mom sent me a box of ripe pears once and it was a similar experience, much richer, sweeter, juicier, and more complex, almost as if I'd never had real pears before then (maybe that was these; some frightfully expensive pears). There had been a pear tree at my great-grandfather's house. but that was a different type, I think. Anyway. The first infusion was more or less a long rinse, how I usually do that, but plenty of that bright, fresh peach aspect came across. It reminded me a lot of a Mi Lan Xiang Dan Cong, how some of those taste exactly like peach instead of honey orchid, how that translates. I'd have placed it as that type of oolong in a blind tasting for that reason. There was more going on, also citrus, and a hint of spice, with plenty of sweetness, but that infusion was just about getting my senses around the experience of that peach. I say teas are "bright" often enough, which probably seems to mean something, and this definitely was. The flavors rounded out a bit more on the first longer, real infusion. Peach is still dominant, but citrus picks up, not so far from muscatel (grape-like, towards citrus, as I place those flavors), maybe a little brighter than that range usually goes. There is a bit of spice as underlying context but this OB version is heavy on fruit. It's an interesting contrast with trying those compressed white teas the day before, doing a four-tea tasting, just getting immersed in those warm, subtle, earthy tones, with fruit a subtle highlight in some. This tea is definitely fruit-forward, and much sweeter, more intense. It's a complex enough experience, with body and richness filling it out, and lots of flavors complexity, but still very approachable and easy to take. It would probably be possible to move from describing three primary flavors up to 7 or 8, as some tea reviews tend to. That isn't one of my own strengths, parsing aspects out to that next level of analysis. The tea has some complexity but it's easy to take as a simple, positive experience. There's nothing challenging or problematic about it, and no sense of straining to pick up what's going on. The warmth picks up a little more on the next infusion. The peach drops down into an integrated range, with spice tones filling that in, and the citrus loses some brightness and intensity too. The spice is pretty close to cinnamon; it wouldn't be much for rounding error to just say that's what it is, but I get a sense there's either more in related range going on or that's not exactly it. The intensity is hard to describe. I'm not brewing this heavy at all, really on the light side instead, but plenty of aspect range comes across as it is. It has an almost perfume or liquor-like floral element, not really a richness, not exactly aroma, just an intensity that's not typical. For OB's that type of effect is not unheard of though, normal for those. This is well within the normal OB range, really, just better than it really should be for not coming from Taiwan. The flavor aspects are nice, the sweetness and cleanness is pronounced, and the overall effect is really positive. 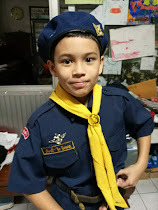 So they did good. It's so good that I'm tempted to go the other way in looking at the tea: what's wrong with it, what weaknesses? No tea is perfect; they all only express so much range, and in fairness to Taiwanese OB's there should be some mention of that. For most teas you don't even have to ask, to seek out what the limits are, or what could be different, you tend to shift brewing or focus to appreciate the positives instead. I'll say more about limits related to this tea on the next round. Next infusion: even more spice. Now this is showing cinnamon with fruit instead of the other way around. Peach is still there, and some background citrus, deepened a little in level, but the overall range is completely shifted. As far as how it could potentially improve, maybe the feel could be a little thicker. To me it works perfectly as it is, since the feel is light and a little thin, as oolongs can go, but with a hint of dryness from the astringency level (a bit high in the oolong range, how OB's tend to work, essentially part of the defined type). Or maybe someone could see it as not complex enough, as having great flavors, but somehow wanting more range out of it, more depth to that astringency element, or a bit more aftertaste. The sweetness and positive flavors linger, but not for the long, long time as some teas do. Maybe being simple and approachable but complex in the range of flavor wouldn't suit everyone. It definitely works for me though. A Thai Oriental Beauty--that I've described a few times--was one of the best versions of OB I've tried from outside Taiwan and this is a good bit better. That Yunnan OB wasn't close enough to the type to compare; it was sort of an interpretation, more a fusion style, at a guess not even based on similar plant types. I've just finished the last of a nice OB from Taiwan, from that holiday season trip, and this compares well enough to that, just a bit different. Flavor-wise it's better, more fruit and a little sweeter; related to other aspect range maybe giving up just a little. All in all a great version of the tea type, better than it really should be. I was just describing about how not everyone would like those compressed white teas, that they seemed to not be challenging, but how the general range and subtlety might be an acquired taste, or not to everyone's liking. It's hard to imagine someone not liking this tea. I guess people could be firmly on another page, drinking some other teas in a limited range, or off towards appreciating such high-level, sophisticated attributes that this could seem too simple. Maybe it could seem too sweet or fruity. But in general it seems like this tea would suit almost anyone, no matter what their favorite tea style is. WOW, i really did not know that there was a tea industry! This was really good to know and i thoroughly enjoyed reading up on this post. Thank you so much! That one was close to making sense so I'll leave it. The spambots on Steepster are getting close to maintaining their own discussions; they almost make sense, and talk to each other. It's too bad that they really can't taste or experience tea too.